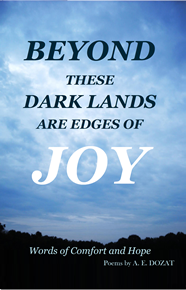 Beyond These Dark Lands Are Edges Of Joy is a book of poems that will encourage and offer hope in God during your difficult times. Here you will be able to learn more about the book, the author, and the poems. My Poem, Not Only Are You Known, is a poem of comfort and hope that may touch you on many levels of your life. To get it through Amazon CLICK HERE. The full title is, Not Only Are You Known, a Poem about God. I choose these long titles to break away from the current trend to give minimal titles and to engage the reader's curiosity from the beginning. The long title also suggests a key to understanding the poem. For this poem, there are two keys to understanding it. First, "Known," makes the point that we are known, but there is more to it than us simply being known by some universal awareness. The second part of the title is, "A Poem About God." This takes us away from ourselves and brings us to God. People have a naturally self-aware view of life and see things from a self-vantage point, but I wanted to take us to God's vantage point and explore His view of us. This poem is 24 lines long and forms six sentences. Most of the lines are three to five syllables. 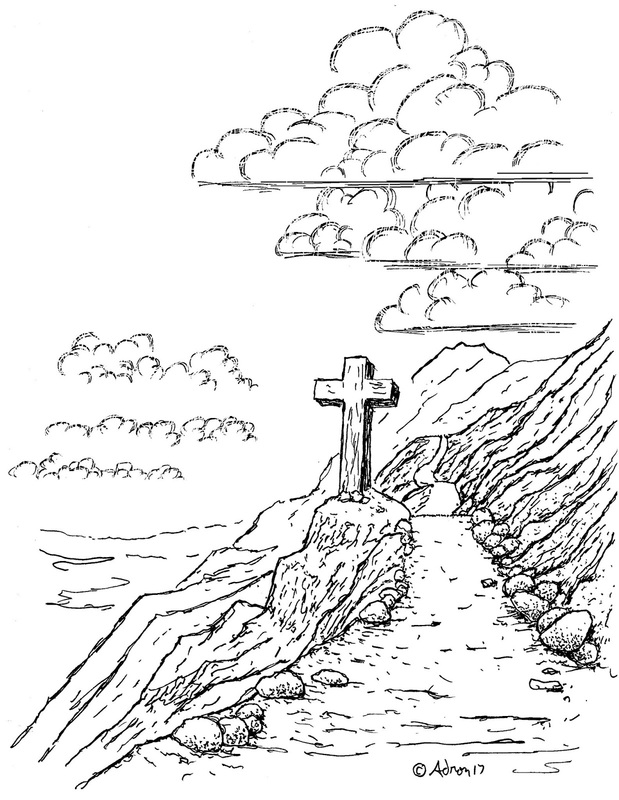 The short lines give emphasis and slow the reader down, so they do not miss the meanings in the poem. The first section is made up of five "God knows you" statements. The poem begins with God's general knowledge of us and then goes to His knowledge that moves Him to act for us. Lines 20 to the end describes God's act of sending Christ to fulfill our greatest need. That need is echoed in the theme of knowing. The meaning of this poem is that God knows you with all your flaws and he also accepts you completely. But he knows you have not only flaws and sins, but you have a need that you cannot meet on your own; so He sent his Son, Christ, to die as our Savior and become the answer to that need. 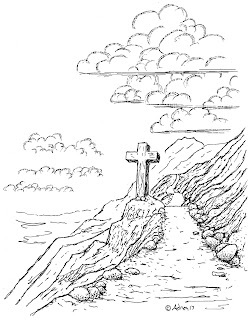 The illustration for this poem is a drawing of a cross beside a road that leads over the side of a mountain. This poem offers comfort that you do not need to hide or run from God because He already knows you and He accepts you. It offers hope through the Gospel that Christ came to bring us to God so we can know His love. To read the poem you may find it on page 18 of the Book Beyond These Dark Lands Are Edges of Joy Words of comfort and Hope. Here is a good gift to give someone who is going through a difficult time. If you are in need of encouragement or know someone who does you should order a copy today, you will glad you did. To purchase at Amazon CLICK HERE. For digital download CLICK HERE, $2.99. 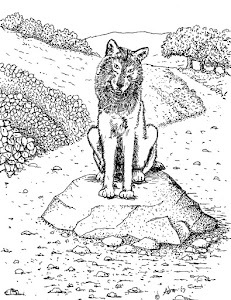 To find out more and read a sample poem visit my website, A.E. Dozat.com. To read a review CLICK HERE. The Poet Explains His Poem, Your Tears Are Not In Vain. The Author Explains the Meaning of the Poem, His Place. Can Poetry Be Used By God To Minister To Someone Who Is Discouraged?